WASHINGTON — The chairmen of the bipartisan Commission on Wartime Contracting decried on Monday a federal system that has allowed contractors in Iraq and Afghanistan to commit fraud — then get hired again and again. “For the 200,000 people employed by contractors to provide support and capability in Iraq and Afghanistan, accountability is too often absent, diluted, delayed, or avoided,” Republican co-chair Chris Shays, formerly a longtime congressman from Connecticut, said while calling to order a hearing of the commission Monday. There are so many barriers to suspending or banning contractors with violations that “untrustworthy contractors can continue profiting from government work, responsible businesses may be denied opportunities, and costs to taxpayers can climb,” Shays said in a statement co-authored with his Democratic co-chair, Michael Thibault, formerly the deputy director of the Defense Contract Audit Agency. The commission last week issued a blistering interim report to Congress: “At What Risk? Correcting over-reliance on contractors in contingency operations,” which concluded that “misspent dollars run into the tens of billions” out of the nearly $200 billion spent on contracts and grants since 2002 to support military, reconstruction and other U.S. operations in Iraq and Afghanistan. Security-cleared professionals based in the Middle East earned on average $141,166 (with bonuses, overtime and danger pay) a decrease from the $148,427 earned a year ago, according to a new survey from ClearanceJobs.com. In the two war zones, salaries for security-cleared professionals in Iraq are $82,144, slightly ahead of their counterparts in Afghanistan at $81,501. Average base salaries in the Middle East are $79,732, and 21 percent higher than European based security-cleared professionals who earn $65,947. However, total compensation in the Middle East is nearly 50 percent higher than Europe when accounting for bonuses, overtime and danger pay. Middle East-based security-cleared professionals earn on average an additional $61,434 or 77 percent of their salaries in other compensation, while Europe-based professionals earn an additional $28,479 or 43 percent of their salaries. Government contractors report the highest average wages within those countries, while military personnel report the lowest. Security-cleared professionals working in Iraq are very satisfied with their salaries. Seventy percent of respondents are satisfied, while 19 percent are dissatisfied. This compares to 65 percent of Afghanistan-based security-cleared professionals who are satisfied and 22 percent who feel the opposite. KANDAHAR, Afghanistan (Feb. 28, 2011) – Insurgents removed two Afghan contractors from their automobiles and executed them on the spot in a rural region of Kandahar province’s Panjwai district Feb. 25. Coalition forces in the area met with village elders in Panjwai shortly after hearing numerous shots fired Friday afternoon. Elders and children then told the coalition officials about the execution of the two truck drivers. Their vehicles were located later that day. PESHAWAR — A court in northwest Pakistan Monday rejected the bail application of an American said to have been working for a private security company who is accused of overstaying his visa. “The bail application of Aaron Mark DeHaven has been rejected because he had no legal documents,” public prosecutor Javed Ali said in the northwestern city of Peshawar. DeHaven was taken into custody on Friday from the Falcon Complex, a residential area in Peshawar, close to the lawless tribal belt near the Afghan border. As Libya cracks down on the ongoing protests against Moammar Gadhafi’s government, reports have surfaced of African mercenaries attacking protesters and massing to defend the capital city of Tripoli. “They are from Africa, and speak French and other languages,” said Ali al-Essawi, the Libyan ambassador to India who resigned this week. Libyan police in the town of Benghazi who have turned against the Gadhafi regime have reportedly captured foreign soldiers who are “black, spoke French and were identified by wearing yellow hats” stated an ABC News report. According to varying reports, the foreign mercenaries employed by Gadhafi may be from Chad, the Democratic Republic of Congo, Niger, Mali, Sudan and, even Eastern Europe. So how does one go about hiring mercenaries on such short notice these days? It helps to have friends in the right places. Al-Jazeera has reported that advertisements have been appearing in Guinea and Nigeria offering would-be mercenaries up to $2,000 to come to Gadhafi’s aid. The reports are vague so far, but if the Libyan strongman has indeed been shopping for mercenaries, West Africa would be a good place to start. Recent conflicts in Guinea, Sierra Leone, Liberia, and the Ivory Coast have generated a steady supply of unemployed ex-fighters willing to move from conflict to conflict for the right price. Foreign mercenaries, often paid in diamonds, kept Sierra Leone’s brutal civil war going for years. U.N. peacekeepers have reported that the electorally ousted but defiant Ivory Coast President Laurent Gbagbo has brought in mercenaries from Liberia to aid him in his conflict against internationally recognized President Alassane Ouattara. 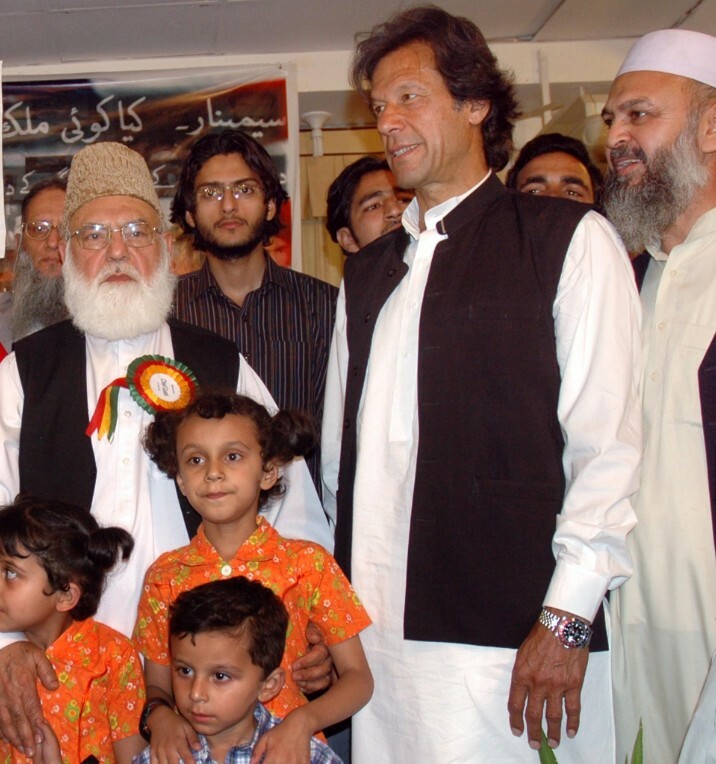 “RAYMOND DAVIS” – CAN IMRAN KHAN SAVE AMERICA’S RELATIONSHIP WITH PAKSITAN? The standoff between the United States and Pakistan over the arrest of contractor Raymond Davis is not going to be solved unless both nations take a step into that “no man’s land” of trust and honesty. There is no question about diplomatic status, this was a clumsy mistake made by State Department officials in Washington who had little or no understanding of the legal and political issues at stake. Recent admissions that Davis is “CIA” mean nothing. Nobody knows what “CIA” means anymore, not since the wave of privatization that has spread to many of America’s critical security functions. 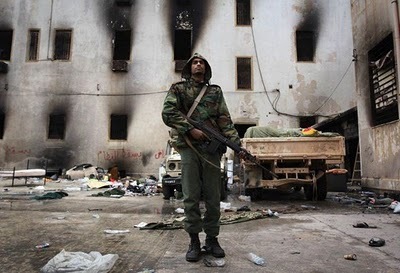 African mercenaries in Libya: Fact or racism? afrol News, 26 February 2011 – Protesters in Libya insist that “African mercenaries,” mostly from Niger and Chad, are used against them. Other sources deny this, fearing a possible racist origin of the claim. 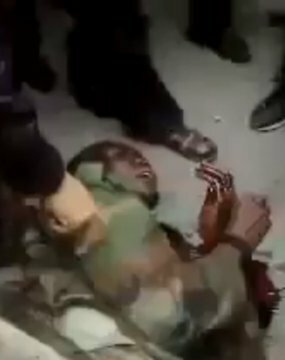 Since the beginning of the Libyan revolution, protesters from all over the country have reported of extreme force being used against them by the Libyan army, police forces, plain-cloth regime agents, snipers and – more and more – “black African mercenaries”. The last group increasingly is described as the most brutal group. Protesters are publishing photos and videos on the internet, with a strong message that “this documents the use of African mercenaries.” Some of these videos indeed show armed groups of dark-skinned persons, with and without uniforms. 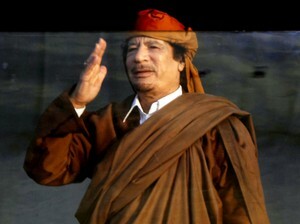 Mercenaries are in the headlines again, this week in the madness and insanity that is Qaddafi’s Libya. If these guys are anything like any and every African soldier I ever trained, worked with or encountered on the battlefield; they’ve all got malaria, half of them can’t read or write, and their only understanding of the Law of Land Warfare is that they’re breaking every law in the book. No matter how hard you train them, in contact they revert to the “spray-and-pray” school of gunfighting and the safest place to be when they’re shooting at you is right out in the middle of the street because they can’t hit the broad side of a barn from the inside. PESHAWAR, Pakistan — An American detained for visa violations in northwest Pakistan is a contractor who had worked on a U.S.-funded construction project in the region, a security official said Saturday. DeHaven appeared in court Saturday in Peshawar, and a judge ordered him detained for 14 more days while police investigate him. The security official said DeHaven was a contractor who had worked on at least one construction contract for the U.S. government in the region, declining to give more details. 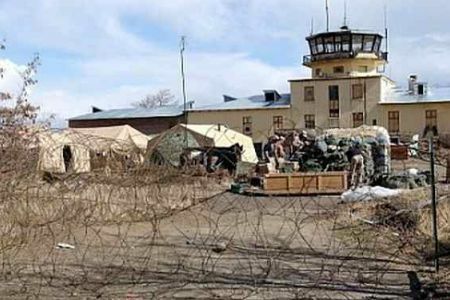 Militants have fired two rockets into Bagram Air Field in Kabul, the main US base in war-ravaged Afghanistan amid a surge in violence against the US-led forces in the country. The rocket attack on the US base — located 11 kilometers southeast of Charikar in Afghanistan’s Parwan province — took place late Friday, a Press TV correspondent reported. Taliban spokesman, Zabihullah Mujahid, has claimed responsibility for the attack. Earlier, two rockets targeted central parts of Afghanistan’s capital Kabul in an attack that left no casualties and caused damages to only a few buildings, officials say. The US Bagram base is currently occupied by the 5th Aviation Battalion (Assault), and 6th Aviation Battalion (GSAB) of the US Army, with the 455th Air Expeditionary Wing of the US Air Force and other US Army, Navy , Marine Corps, and Coast Guard units, and their coalition partners. 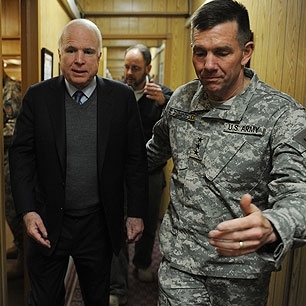 Bagram, which is home to some 24,000 military personnel and civilian contractors, is located in an area of more than 5,000 acres (2,000-hectares).